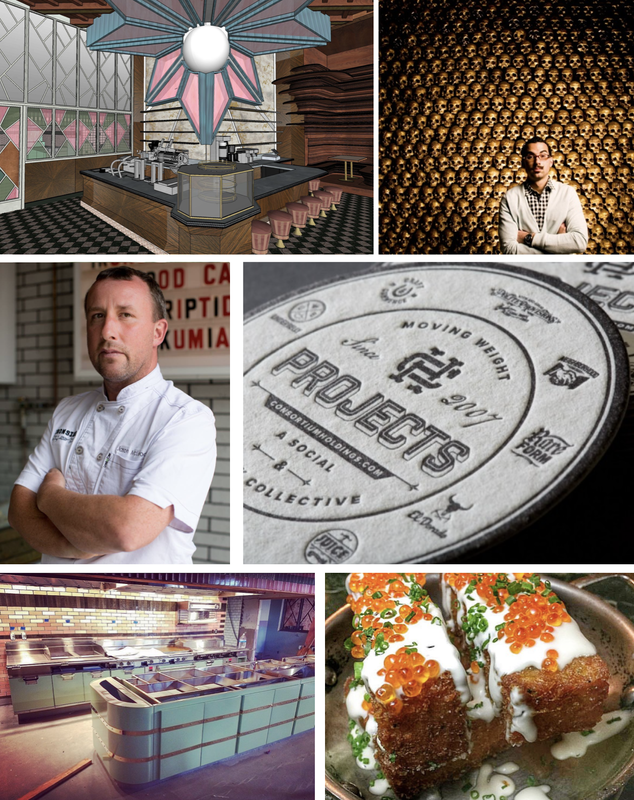 San Diego's hippest hospitality group, Consortium Holdings - known for such concepts as Born & Raised, Ironside Fish & Oyster, Soda & Swine and others - is gearing up to get into the brunch game with the launch of Morning Glory, the company's 5th Little Italy concept. Started by Arsalun Tafazoli with the opening of Neighborhood in 2007, Consortium Holdings now has 13 concepts scattered around San Diego, including cocktail-focused Polite Provisions, classy dive bar El Dorado, neighborhood bar & restaurant Craft & Commerce, two locations of its Japanese fusion restaurant Underbelly, modern barbershop Dover Honing Co., seafood-centric Ironside Fish & Oyster, bi-level steakhouse Born & Raised, and the most recent concept - Raised By Wolves - a cocktail supply store, high-end spirits shop, and speakeasy that unveiled in Westfield UTC earlier this year. Last year, the ballooned budget of Born & Raised forced Consortium Holding's to sell off its Petco Park adjacent dual concepts Rare Form and Fairweather. The company is also working on transitioning the longtime Porter's Pub space on UCSD campus into the third area location of meatball and pie shop Soda & Swine and will launch a rooftop sky deck & outdoor terrace cocktail bar named The Reading Room on the 19th floor of downtown's brand new InterContinental San Diego hotel & resort. A concept that has since been the works since 2013 (originally set to install within the Ironside space), Morning Glory will cost a total of around $3million when all is sait and done. Sited atop the incoming Farmer's Table on the corner of Piazza Della Famiglia and India Street, the 4,000 square foot bar & restaurant will be adorned with copper and accessible by a staircase not far from the entrance of the Little Italy Food Hall. The design is in the hands of Consortium's regular man, Paul Basile of Basile Studios, who will install living plant walls, overhead sunroofs, stained-glass installations, and a vintage-style open kitchen. Expect 1970s-era features inspired by architecture legend Francis Lloyd Wright. The food menu at Morning Glory will be in the hands of CH culinary director Jason McLeod with the help of longtime CH chefs Sergio Rodriguez and Jocelyn Cano. Expect it to be over the top with egg dishes topped with caviar, crazy pancake creations, and breakfast sandwiches served on fresh baked pastries. An inventive cocktail list from beverage master Anthony Schmidt is also being generated and rumors are that Morning Glory may be a cocktail-only establishment, although that has not been confirmed. Like Born & Raised, cocktails will be available from tableside carts. There will also be a coffee and pastry bar. Morning Glory is expected to open at 550 West Date Street in the heart of San Diego's Little Italy at some point in early 2019. The restaurant will take reservations and walk-ins.